Conde Nest Traveler Magazine Just $4.99 Year! Conde Nast Traveller Magazine for just $4.99 per year – 24 hours only! Up to 3 years available at this great discount. 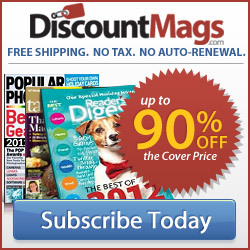 Discount Mags has no sales tax, free shipping and no auto renewal! Go to DiscountMags.com to order now.